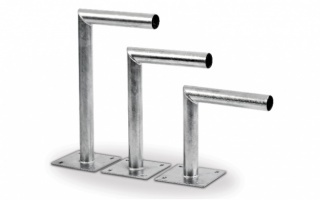 Is there a part of your satellite TV setup that you’ve always wanted to mount but don’t know how? At SystemSAT, we supply everything from satellite mounts to TV mounts so you’ll have everything you need to get your setup just the way you want it. Setting up a satellite mount can be a tricky business. Before you buy, consider what you’ll need it for and restrictions in your area; do you live in a listed building or listed area? If that’s the case, you’ll need permission before you erect a dish using a wall-based satellite mount. How about if trees block the view of the sky from your house? You might want to consider a pole-based satellite mount further away on the property to get maximum coverage. 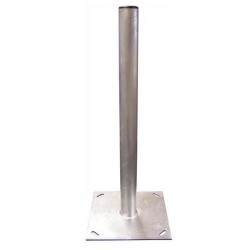 People in areas that are frequently exposed to high winds (such as coastal areas) may want to consider a tripod satellite mount to give the system more stability and prevent wind sway. A TV mount, or TV bracket, is also a useful thing to have. If you find that you don’t have a lot of space, a TV mount can help you to utilise what’s available and leave floor space free for other uses. 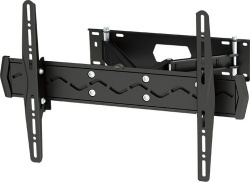 Most modern flat-screen TVs will be compatible with a wall bracket.